Weather outside the norm for our sunny South Texas area caused me to use more energy and made my latest energy bill look more like July. People like me whose bill included their energy use from late December through most of January are curious as to what happened. The holidays are long behind me, and I’d already forgotten that we had three extra people in the house for two weeks, cooked more meals than usual, ran the dishwasher almost daily, and had Christmas lights on for the better part of a month. There were plenty of nice, sunny days in December, too, just like there will be this weekend and we had last Saturday. Sandwiched between picture postcard weather, overnight lows from Monday and yesterday’s cold weather easily slip my mind. But my bill didn’t forget that my heater has been working overtime. In the last week of December, lows were near freezing almost every night. And those frigid temps continued well into January with 15 days below 38 degrees and another four below 40. When cold temps happen back-to-back, there’s no warm air build up inside homes and heaters will cycle on consistently, even if the thermostat is never adjusted. Similar to triple degree heat in the summer, the extreme cold works my HVAC system harder. The result – I end up using and buying more energy. And I’ve braced myself, because if Punxsutawney Phil has any ability to predict weather for South Texas, I’m in for at least six more weeks of winter weather. So, what am I doing to manage my energy use and pay a lower bill? First, I don’t ever heat or cool my empty house. When we’re gone for a few days, I turn the HVAC off. Or use my programmable thermostat and turn it down. I’m thinking about upgrading to one of those learning thermostats that can think for me—just in case I forget. I watch the weather forecast closely. It’s not always right, but within a 24 to 48-hour window, most meteorologists come pretty close. With the forecast in mind, I make adjustments. Turn the thermostat down a few degrees when no one’s home or at night when we’re under the covers. I turn it off altogether on those occasional mild winter days. Always aiming to make sure the thermostat never goes above 68 degrees. I advise the thin-blooded folks in my house to put on some clothes and stop dressing like it’s Fiesta or Folklife. I use surge-protecting power strips. Paying attention to capacity, I plug the normal day-to-day electronics into the strip and then unplug the strip when they’re not in use or we’re away from home. I’m also the light czar, flipping off any lights in empty rooms. Trust me, these tips work. I was a little surprised to see that my bill (from Dec 18 – Jan 22) was $60 higher than the month before. I do my best to manage the part of the bill I can control – my energy use. 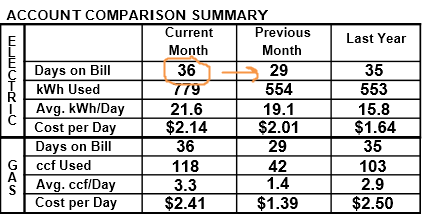 But given the holiday activities, weather, and a longer month with multiple holidays, which meant a longer billing cycle, a 50-percent increase over my last bill isn’t completely out of nowhere. All things considered, I’m kind of proud of how we’ve managed this month. Some of my co-workers and friends had bills that doubled or tripled. Most customers were like me and saw a billing cycle that’s several days longer than a typical month. Bottom line – I control what I can. As customers, we can’t control the weather, City services fees, fuel costs, or transmission costs. But we can take steps to try to manage the amount of energy we use. I DON’T THINK I HAVE CHANGED MY THERMOSTAT A DEGREE IN YEARS, BUT MY UTILITY BILL FLUCTUATES LIKE NIGHT AND DAY! AND NO, I DON’T USE MY BIG OVEN, ONLY A SMALL PORTABLE OVEN, OR THE MICROWAVE! I HAVED LIVED AT MY APARTMENT FOR GOING ON 18 YEARS NOW, AND STILL MY UTILITY BILLS MAKE ME DIZZY AT THE UP AND DOWN RANGE THEY GO IN!! BUT I AM NOT COMPLAINING, BECAUSE I DO HAVE A ROOF OVER MY HEAD!!! Now my bill has almost doubled. I don’t even have central heat just a small space heater & I have been using that sparingly. Same thing happened to my aunt too. They made a special trip to my house when I opted out of the smart meter (a few days later) because they didn’t do all the other houses in the neighborhood at the same time so I guess I got punished for opting out, but the neighbors will find out their bill is going up as soon as they do install them here. Now I know what Obama meant by energy costs would necessariy skyrocket. We need to get these meters taken out and go back to analog….it will take everybody to do that. Those meters can start fires, they emit radiation, and they make your bill go up. Plus the meter readers lose their job. Where is the benefit? CPS informs me that nobody is complaining. Bull ! I see it on the news. Not just San Antonio but other little towns are complaining and the channel 4 news report last night about a man whose bill doubled didn’t mention a meter change. I’d bet money there was one. I see a class action lawsuit in their future. I know that can be confusing. 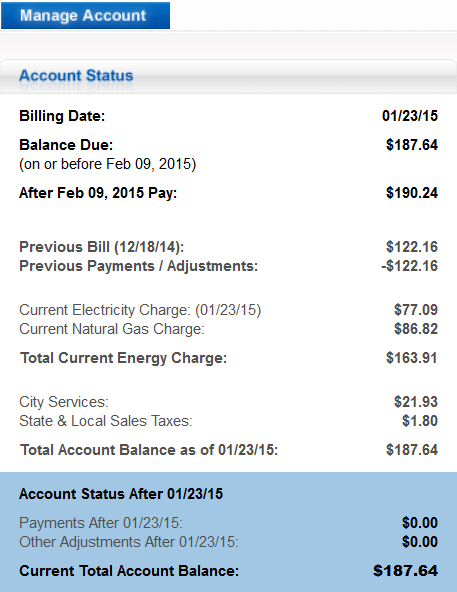 Your bill fluctuates because the amount of power you use each month fluctuates. For example, you may keep your thermostat set at 68 all the time, but on night when it’s freezing, your heater will run more often than during the day if it’s only 60 outside. If you look at your bill, you’ll see the amount you pay is related to how much you use. Lots in January, February and July, August, so bills are highest then. All that said, we can set up a Budget Payment Plan to allow you to pay the same amount every month for your electric bill. If you’d like more information or to sign up, call 210-353-2222 and ask about the Budget Payment Plan. You’re right, customers are complaining all over San Antonio – and all over Texas. That’s because these unusually high bills were caused by the weather, and a longer than usual billing cycle. We have checked — customers with analog meters, OMR meters and smart meters all experienced higher than average bills. My own bill was higher than it’s ever been. 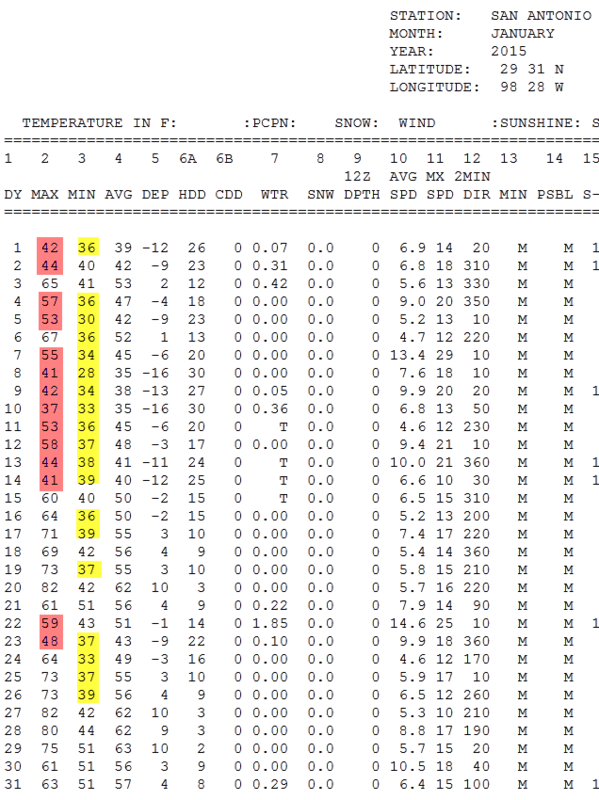 As you can see in the post above, there were many freezing and near freezing days/nights in January. And when it’s colder out, your heater must work harder just to stay at the same temperature, and that costs more money. Smart meters and OMR meters do the same thing as analog meters: they record the amount of energy you use. Smart meters and OMR meters transmit the data wirelessly, using radio frequency like a cordless phone, microwave and baby monitor – but far less. They transmit the amount of power you’ve used and your meter number, and that’s all. I hope all this helps. Please feel free to reach out with any more concerns. That story about the Guadalupe Electric customers….were they on the new meters or the older analog ones? Thermostat? What thermostat? I have a small oil heater and I don’t use that very often. I don’t think those meters are calibrated correctly because there is no way I doubled my energy use. I’m also ticked about changing my account number and not migrating my auto pay information so that I got a nasty note that I would be disconnected if I did not pay immediately. Now CPS wants me to fill out another auto pay form so my question to them is why wasn’t this bill on the new account accompanied with an explanation and the auto pay form and why the threat? Don’t buy a cell phone or cordless phone if your kids use it….their risk greatly increases if they use them before age 20. Professor of Oncology Lennart Hardell, MD, PhD, and Statistician Michael Carlberg of Orebro University Hospital, Sweden found a 3-fold risk with 25 or more years of cell and cordless phone use in a study published October 2014 in Pathophysiology. Very significant was the finding that people who first used mobile or cordless phones before the age of 20 had the highest risk.